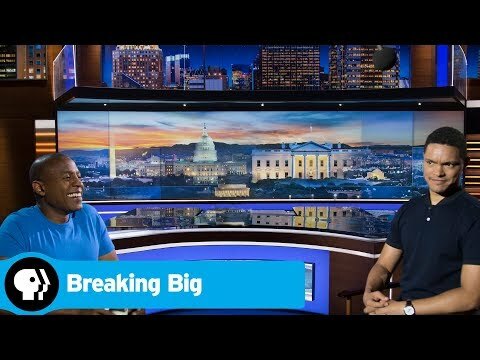 Hosted by Carlos Watson, an Emmy Award-winning journalist and co-founder and CEO of OZY.com, BREAKING BIG explores the twists and turns on the road to thriving careers for some notable figures in various fields. The series of 30-minute documentary films traces the unusual paths followed by 12 talented men and women - from country music superstar Jason Aldean and former Fox News anchor Gretchen Carlson to Oscar-winning director Lee Daniels and chef and restaurateur Eddie Huang - who overcame nearly insurmountable obstacles and long odds to reach and re-imagine their own potential and, ultimately, to break big. The series will include analysis from eminent social scientists, marketing experts, film critics, book editors and others to help viewers understand the risk-taking and bold moves these journeys require. Breaking Big Season 1 was released on PBS 309d ago in the US. Notify me when Breaking Big Season 1 is available.